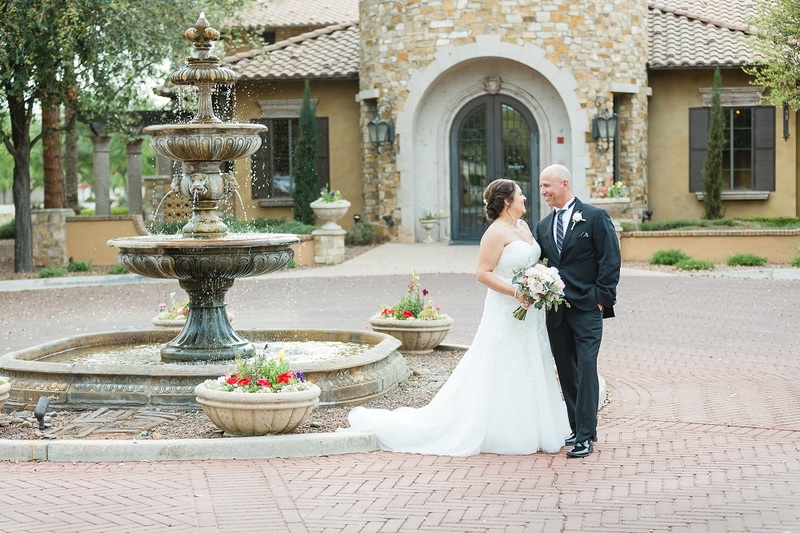 Christina and Rick, who were set up by their daughters, were married at Villa Siena on March 25, 2018. Christine chose a romantic strapless A-line gown with a sweetheart neckline, lace overlay, jeweled belt, and button-down back. 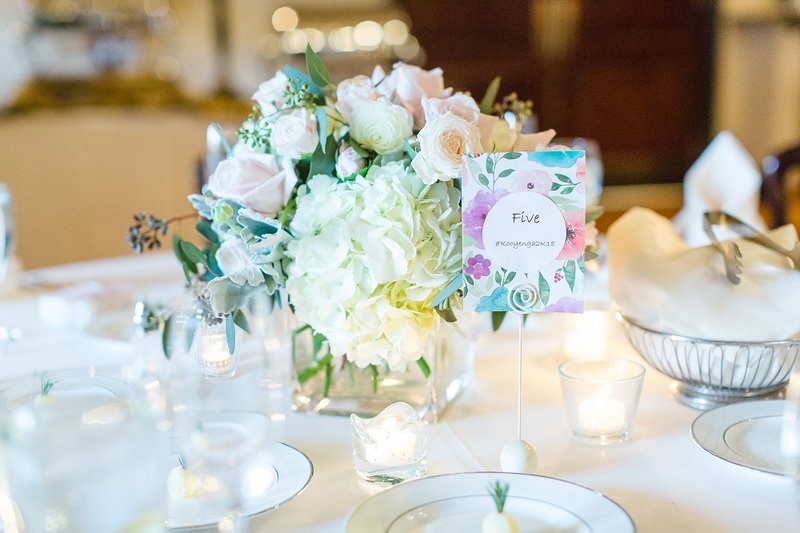 Her bouquet was composed of pink and white flowers, including roses and peonies, accented with greenery. Her two bridesmaids, her daughter and Rick’s daughter, wore lavender full-length gowns with lace halter-neck bodices. They carried modified versions of the bride’s bouquet. Rick looked sharp in a black suit with a silver vest, striped tie, white shirt, patterned pocket square, and white flower boutonniere. His two groomsmen, the bride’s sons, wore black suits with white shirts, lavender ties, white pocket squares, and white flower boutonnieres. 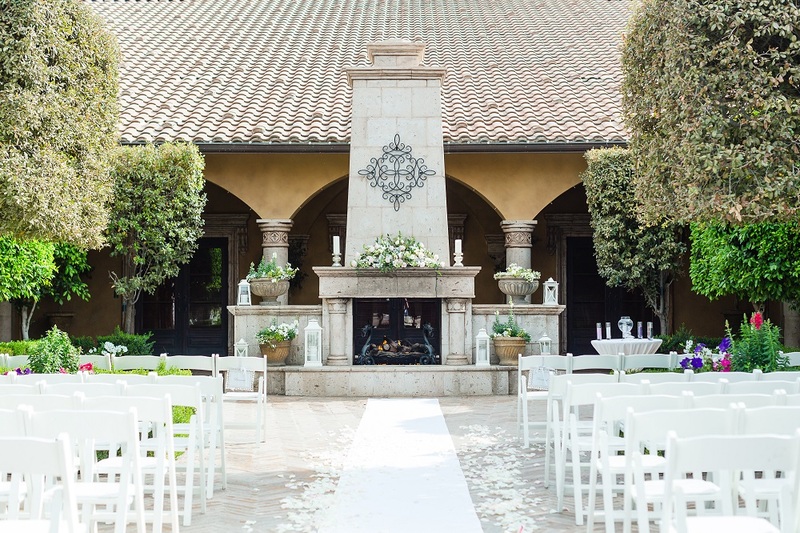 During the ceremony, the officiant reminded the couple to never let anything come between them, and said that for a home to be blessed, God and a family must be present. The couple performed a sand ceremony along with their children. Inside at the reception, guests dined on beef tenderloin with tortellini and potatoes. During the speeches, one of the bride’s sons said that love, not DNA, makes a family. 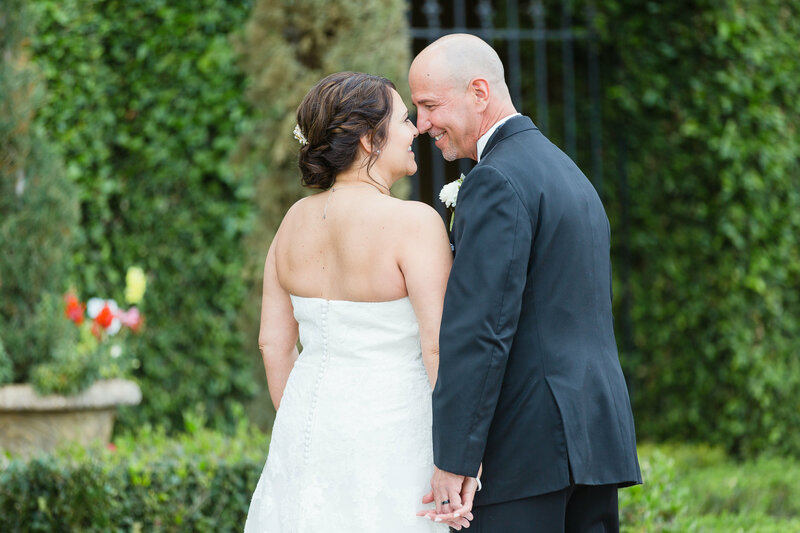 The bride’s daughter thanked Rick for showing her what love is through his love for her mother. 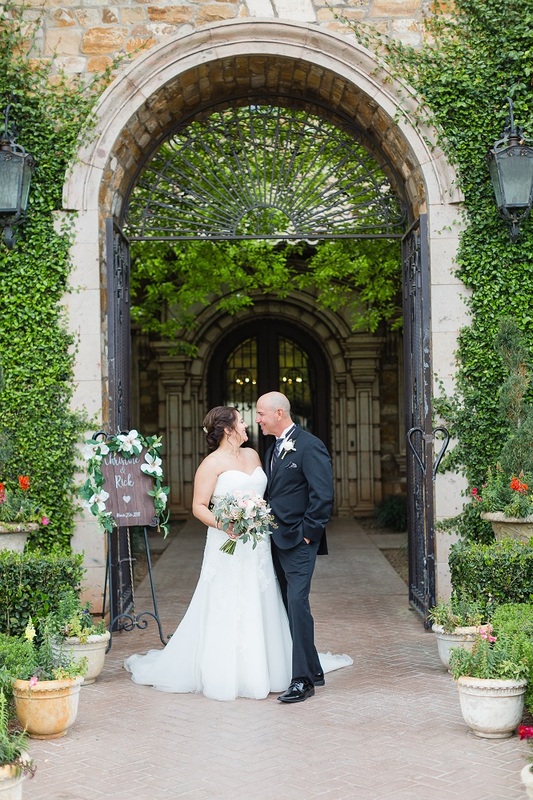 The groom’s daughter said that she saw her father truly happy for the first time when he met Christine, and she thanked Christine for welcoming her to the family. Christine and Rick danced for the first time as a married couple to “I Get to Love You” by Ruelle. The two-tier white wedding cake featured a brushed frosting design and pearl accent with white and pink flowers. We wish the newlyweds all the joy in the world! 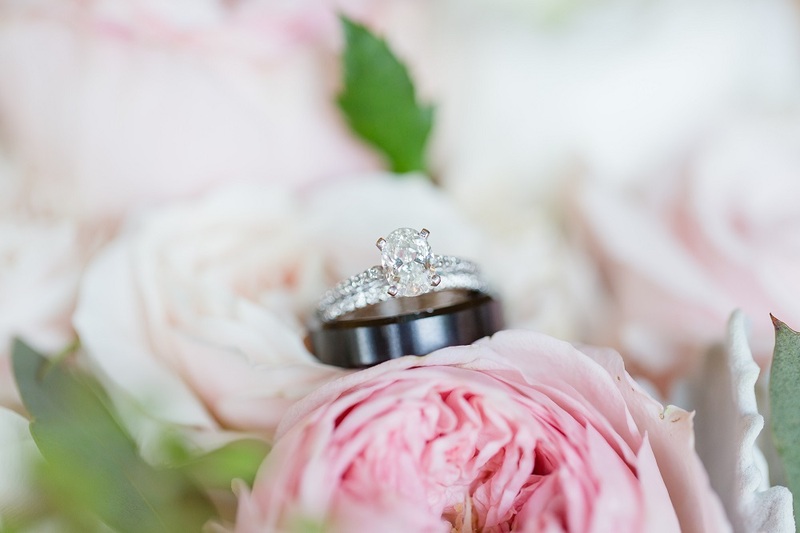 To view more photos from this wedding, please visit our Photo Gallery.